At the end of NW 34th Street, not far from some of the major attractions in Lincoln City, sits a beach access that’s tucked away from the throngs just a bit more than the other access points. The Grace Hammond wayside features a small parking lot, taking perhaps five vehicles, and a handicap accessible ramp going down onto the sand. Meanwhile, a small concrete platform surrounded by tall beach grass boasts a bench for peaceful viewing. It’s not far to the tide line from here â€“ depending on conditions â€“ and even in stormier moments this broad sandy beach usually provides plenty of distance and safety from the manic waves. 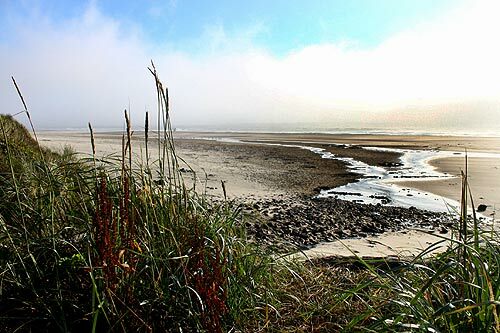 Like many other beaches in Lincoln City, it often has a steep slope at the tide line that causes the waves to rush in fast and hard, but then dissipate softly at your feet. 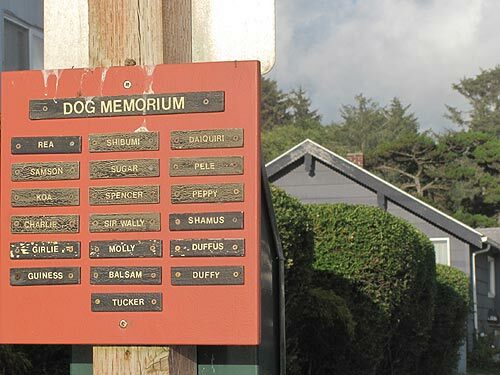 Another nice touch here is a memorial to people’s dogs that have passed on.